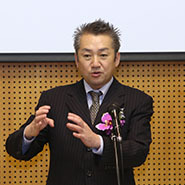 Tokyo, Japan—Addressing the rapidly aging population and declining birth rate in Japan was the focus of a conference UPF organized on September 12. 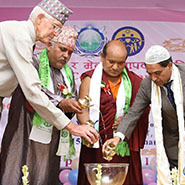 Kathmandu, Nepal—An overflow crowd of 1,500 people attended a marriage rededication and peace Blessing ceremony co-organized by UPF-Nepal. 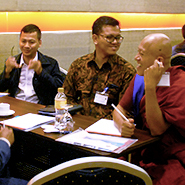 In August 2015, UPF-Cambodia held an Interfaith Peace Blessing Ceremony in the capital, Phnom Penh. 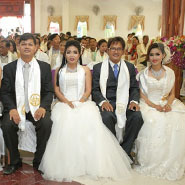 One of the participants was so inspired, he organized another Marriage Blessing in his remote village shortly thereafter. 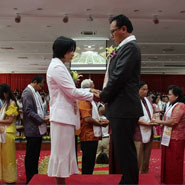 Battambang, Cambodia—More than 700 couples took part in an Interfaith Peace Blessing ceremony held by UPF-Cambodia in Battambang City. 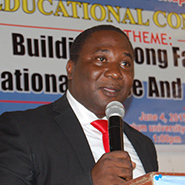 Lagos, Nigeria—"Building Strong Families for National Peace and Development" was the title of a one-day conference organized by the Lagos State chapter of UPF-Nigeria at the University of Lagos, Akoka, on June 4, 2015. 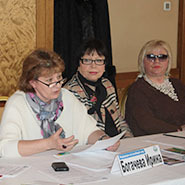 Moscow, Russia—UPF-Russia brought together a broad range of experts for a one-day conference on strengthening the family. 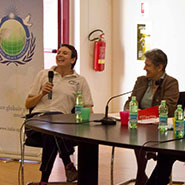 Monza, Italy — A conference designed to increase awareness of the role of women in our society was held in the northern Italian city of Monza on March 28, 2015. 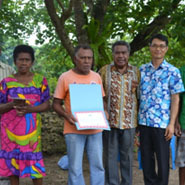 Port Vila, Vanuatu—Vanuatu’s first president joined Ambassadors of Peace and local residents at the presentation of a special award to the best model family in the region. 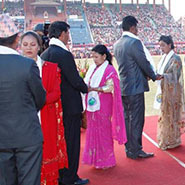 Kathmandu, Nepal — Approximately 70,000 citizens of Nepal gathered to affirm marriage and family on February 21, 2015, as they filled the National Stadium to pledge to uphold premarital purity and marital fidelity. 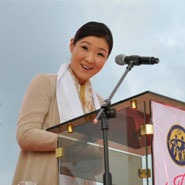 Marikina City, Philippines - “Let’s pray for perfect weather on the day of the Interfaith Peace Blessing.” True enough, heaven answered their prayers.